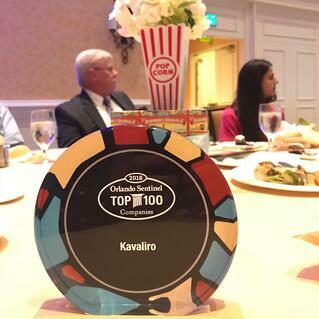 Kavaliro was recently selected as one of the 2018 Orlando Sentinel Top 100 Companies. The list of “Top 100 Companies” was created by the Orlando Sentinel and Best Companies Group. This award program is designed to recognize, and honor the best workplaces in Central Florida. "I am so honored to be a member of the Kavaliro team and to see Kavaliro winning this award again." said Director of Recruiting, Noelle Williams. "It really shows that our team thinks we are a great place to work. 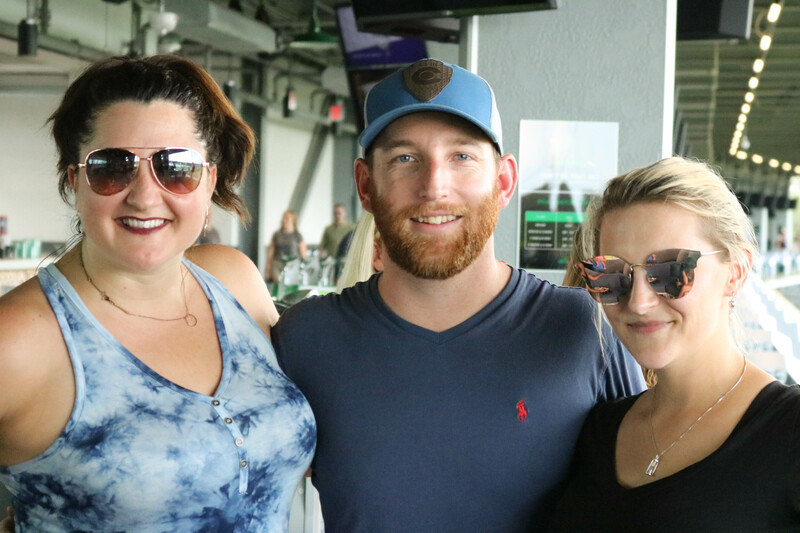 Orlando is home to so many fantastic companies; the fact that we continue to rank on this list is rewarding and a great motivator for our team." "We are grateful for the recognition that the Orlando Sentinel has given us." said COO, Bill Peppler. "We love attending the award ceremony and seeing so many other excellent companies, and our clients winning along side us." 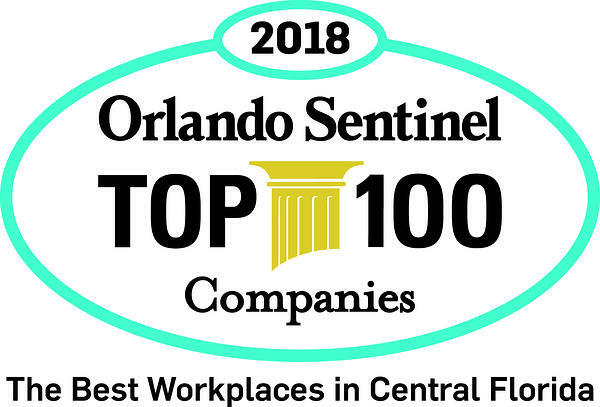 Kavaliro has placed on the Orlando Sentinel’s Top 100 Companies list since 2014 and continually strives to meet the requirements to be eligible. Organizations from across Central Florida enter the two-part survey process to determine the Orlando Sentinel Top 100 Companies. The first part consists of evaluating each nominated company’s workplace policies, practices, philosophy, systems, and demographics. The second part consists of an employee survey to measure the employee experience. The combined scores determine the top organizations and the final ranking. Best Companies Group manages all the overall registration, survey, and analysis process and determines the final rankings. This survey and award program is designed to identify, recognize, and honor the best places of employment in Central Florida, benefiting the region’s economy, its work force and businesses. We could not be more humbled by receiving this award. 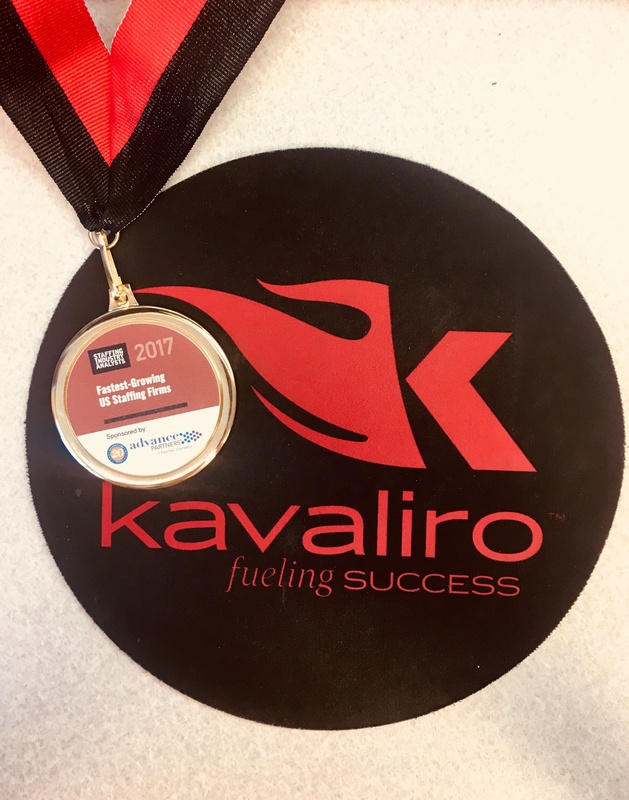 Kavaliro was recognized for our fantastic team bonding activities, company benefits, community service, and training programs. Kavaliro strives to always provide the best work environment for all of our employees both locally and national. 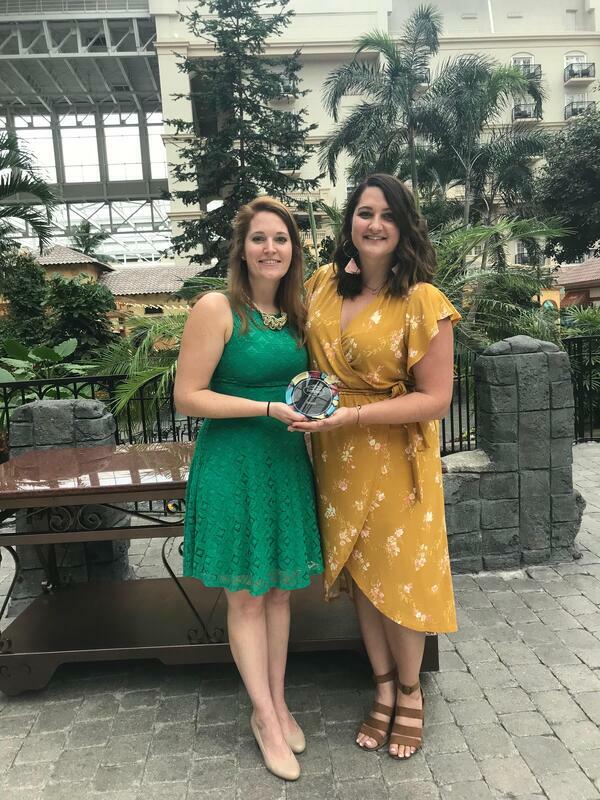 We would like to thank the Orlando Sentinel for hosting this award and continuing to recognize all of the outstanding companies in Central Florida. Stay up to date with the latest Kavaliro news!